For the last few years, I’ve avoided posting about specific medical treatments for Meniere’s disease. I’m not a doctor or a medical professional, so I’ve been careful not to write anything that could be misconstrued or mistaken for medical advice. My purpose and my message has always been one of hope. But I know that no two cases of Meniere’s disease are ever the same, and the treatments that work for one person might not work at all for another. So today, I present hope in a more tangible context: no matter how many Meniere’s disease treatments you’ve tried, you probably haven’t tried everything. There is always some new treatment to try or some new action you can take to attempt to improve your symptoms and quality of life. 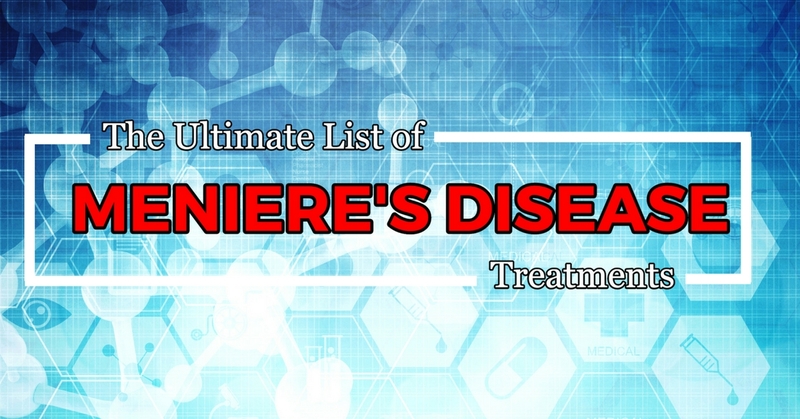 I present to you: The Ultimate List of Meniere’s Disease Treatments! I am not a doctor or a medical professional, nor am I advocating for any treatment on this list. This list is for informational purposes only. ALWAYS TALK TO YOUR DOCTOR BEFORE ATTEMPTING ANY TREATMENT OR TAKING ANY SUPPLEMENT OR DRUG. Click here to read the full disclaimer. Lifestyle, dietary, and environmental changes should be the first line of defense for every Meniere’s disease patient. Your mileage will vary with this approach, but it’s important for everyone, even if it doesn’t seem to improve your symptoms at all. Lifestyle management can provide a strong foundation of health, potentially increasing the likelihood that other treatments will prove successful. The healthier you are in all other aspects of your life, the better chance you’ll have at finding something that works. Identifying and avoiding triggers, managing your diet, stress reduction, exercise, and sleep all play an important role here. Benzodiazepines are a class of sedative drugs that are often prescribed to vestibular patients to treat vertigo. They act as vestibular suppressants, reducing the vestibular response, which helps to reduce vertigo. In this way, they can also help to treat vertigo-related nausea. Many people find them effective, yet they are not without risks. All benzodiazepines carry risk of addiction and dependency. Benzodiazepines in Dizziness – What is the data? Meclazine (OTC: Bonine, Dramamine Less Drowsy, Generic, Prescription: Antivert): Meclazine is technically an antihistamine, but its antiemetic (anti-nausea) properties and over-the-counter availability make it a commonly used medication to treat vertigo, dizziness and nausea. Dimenhydrinate (OTC: Dramamine, Generic): Dimenhydrinate is another antihistamine with antiemetic properties. It’s more sedating than Meclazine and reported to be less effective at treating vertigo and vertigo-induced nausea, but some people prefer it. Promethazine is another sedating antihistamine drug that is used to treat vertigo and nausea. It is much stronger than the OTC antihistamines and available only by prescription. It’s also available as a suppository when a patient’s nausea is so severe that they cannot keep down oral medication. In some cases, doctors will prescribe scopolamine patches to help with vertigo, motion sickness, and vertigo-related nausea. They are antiemetic like the other drugs mentioned here, and can help to reduce nausea. The patches are designed to slowly release the medication through the skin over the course of three days. Warning: While many of these medications have been used for decades, new research has linked use of some of these drugs (Meclazine and Dimenhydrinate included) with an increased risk of dementia. Talk to your doctor first. Betahistine Dihydrochloride is a commonly prescribed anti-vertigo medication for people with Meniere’s disease. Betahistine is both a partial histamine agonist (H1-H2 receptors) and antagonist (H3-H4 receptors). It’s unclear how exactly it works to relieve vertigo and other Meniere’s disease symptoms, yet a great many people report improvement in vertigo and other symptoms. In the US, it can be filled at compounding pharmacies (and Walgreens). Diuretics and water pills are commonly one of the very first prescribed medications for Meniere’s disease patients. It’s not entirely clear how they work to improve symptoms, but it’s believed that by decreasing water retention, fluid balance in the inner ear is improved. Many people find diuretics to be effective at reducing their symptoms. Corticosteroids are commonly prescribed by many doctors to treat Meniere’s disease flare-ups and reduce the intensity of vertigo attacks. Typically, they are only prescribed for a short course of several days and are believed to suppress the immune response in the inner ear. They are not, however, effective for everyone. They seem to work best in cases of Meniere’s with an autoimmune component. Oral administration of prednisone to control refractory vertigo in Ménière’s disease: a pilot study. One theory of Meniere’s disease states that there may be an underlying viral cause, such as the herpes simplex virus. This is certainly not true for all Meniere’s disease patients, but in some cases, people do seem to respond favorably to antiviral drugs such as Acyclovir and Valacyclovir. Migraine and Meniere’s disease are two closely related, often overlapping conditions. So, if you experience migraines on top of your Meniere’s symptoms, migraine medications like Verapamil may help you with both. In certain cases of Meniere’s disease (including cases where no other treatments seem to work) some patients have found relief through upper cervical spine chiropractic adjustments, especially those with a history of physical trauma, such as whiplash experienced during a car accident. Stephen Spring was the VP of the Meniere’s Research Fund at Sydney University, and has developed a treatment protocol for Meniere’s disease patients. “Meniere’s disease is a ballooning of the endolymphatic space within the inner ear following immune complex deposition. Fibrosis in the temporal bone, extracellular matrix and basement membranes of the endolymphatic sac is the result. Stephen’s protocol involves identifying the genes and the specific immune signature from blood tests ordered by a local doctor. Once obtained, he offers an immunotherapy program to assist with halting the usual degeneration in MD. He notes that results are individual and normally range from near complete recovery to mild/sporadic outbreaks depending on the gene dose, prior damage, ongoing immune profile and environmental effects. The program can be accessed in Australia at Healthy Hearing and Balance Care, or elsewhere under the supervision of a local doctor. It is not a free service. Meniett therapy involves a medical device that pushes small pulses of air into the ear canal. The effectiveness varies from person to person, and I should acknowledge that there is little evidence behind its efficacy, but depending on what you’ve tried already, it might be worth exploring. Meniett Therapy for Ménière’s Disease: An Updated Meta-analysis. A while back, I created a pay-what-you-want album of brainwave entrainment audio tracks designed as a coping tool for various Meniere’s disease symptoms. This is not a medically prescribed treatment, yet hundreds of people use this program daily and report that it helps them to find relief from their symptoms in the moment. How it works begins with a simple truth: how you feel changes your brainwaves in a very specific way. In fact, there is a predictable, measurable brainwave pattern directly associated with every possible mental state. But amazingly, the opposite is also true. The Meniere’s Symptom Relief Project features various brainwave entrainment audio tracks designed to help with vertigo, stress, fatigue, brain fog, and insomnia. You just have to press play. It’s that simple. As long as you have some of your hearing left in one of your ears, it takes effect in minutes. This is somewhat controversial, but acupuncture can be utilized for treatment of vertigo and Meniere’s disease. Some Meniere’s patients experience a reduction in symptoms after a session or series of acupuncture sessions. It’s unclear why it works, but it’s a low risk option, and has been an integral part of Traditional Chinese Medicine (TCM) for thousands of years. There are quite a few supplements and supplement regimens that are known to help Meniere’s disease symptoms. The John of Ohio Meniere’s Regimen was created by a Meniere’s disease patient who found complete relief from his symptoms by treating himself with a variety of over-the-counter supplements and medications. It does not seem to work for everyone, but when it does, it seems to work quite well. Many people have reported it as extremely beneficial. The regimen is designed to address several potential underlying factors: Viral inflammation, Ischemia (restricted circulation in the inner ear), and allergens. The USANA supplement regimen was popularized by Karin and David Henderson of Menieres-Disease.ca. It focuses largely on using specific nutritional supplements to boost the immune system. Some people report these supplements as having helped, while others say it didn’t seem to do very much at all. Some people find that a type of supplements called Nootropics are helpful in managing Meniere’s disease in general, and specific symptoms such as brain fog. What is a Nootropic: Any herb, vitamin, supplement, or medication known to improve and enhance cognitive functions such as concentration, attention, and memory. There are several broad categories of Nootropics defined by their supposed mechanism of action. Some Nootropics work by affecting the neurotransmitter acetylcholine. Some compounds, such as Choline Bitartrate and Alpha GPC, directly increase the production of acetylcholine, while others, such as Huperzine-A, block the breakdown of acetylcholine, leaving more available. Others still, including the “Racetam” family of Nootropics, increase the effectiveness of acetylcholine. Piracetam, one of the oldest and more widely studied Nootropics, has even been shown to reduce the frequency of recurrent vertigo. Additionally, some classes of Nootropics work by increasing the level of the neurotransmitter dopamine, while others affect metabolism and optimize the energy supply of your brain cells (ATP). These cognitive enhancing compounds can work wonders to help cope with brain fog. But their effect on Meniere’s disease is not widely recognized or studied. Some of these compounds are low-risk, while others haven’t been studied very much at all. Exercise caution and ALWAYS speak with your doctor first. When lifestyle changes and pharmaceutical interventions are not enough to treat Meniere’s disease, a surgical treatment may be necessary. There are several different surgeries commonly used to treat Meniere’s disease, with varying risk profiles. One drawback, however, is that the treatments are typically only effective for several weeks before another injection is required. Otonomy, a biotech company, is currently conducting clinical trials of OTO-104, which is a long acting, slow release injectable form of Dexamethasone. In severe cases of unilateral Meniere’s disease (only one ear affected), Gentamicin injections are often used as one possible treatment of last resort. The primary goal is to reduce or deaden inner ear function on one side. And while it’s often effective, it carries the risk of severe side effects. “For many years multiple doses of gentamicin were used – – typically 4-6 injections over a few weeks to months. 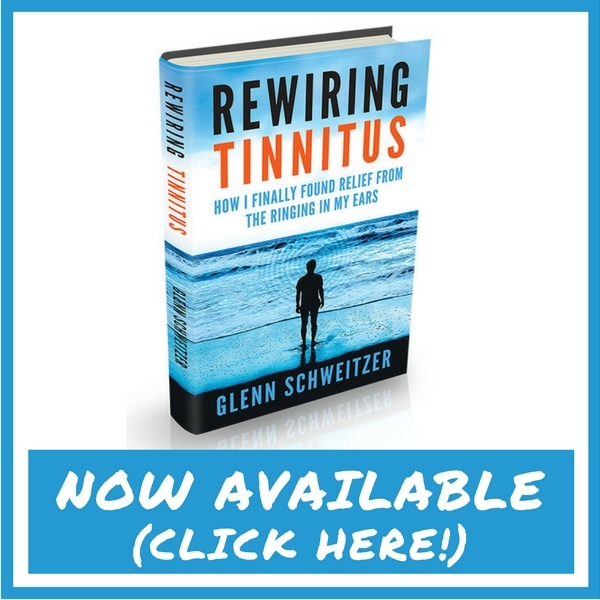 While this “high dose” gentamicin protocol was very effective, it was accompanied by major side effects – – a substantial risk of hearing reduction, and often a prolonged period of dizziness and vertigo induced by the treatment itself. We do not recommend this procedure anymore due to the collateral damage. Results with the low-dose protocol seem to be much more favorable with greatly reduced risk of negative side effects. After a minimally invasive procedure, the Microwick can be used to slowly administer either the steroid Dexamethasone or the antibiotic Gentamicin. The endolymphatic shunt and sac decompression surgeries are common Meniere’s disease surgical procedures designed to treat vertigo. This involves inserting a small plastic tube or sheet directly into the endolymphatic sac in the inner ear to reduce fluid pressure, which in theory, should improve inner ear function and reduce the incidence of vertigo. Though the exact mechanism for why this is the case is unclear. They are extremely common procedures, yet only seems to be effective at reducing vertigo in roughly 2/3 of recipients. Both, however, carry fewer risks of causing permanent damage or hearing loss than intratympanic gentamicin injections. Outcomes of endolymphatic shunt surgery for Ménière’s disease: comparison with intratympanic gentamicin on vertigo control and hearing loss. Orthokine is an anti-inflammatory procedure developed by Dr. Peter Wehling, founder of the Center for Molecular Orthopedics in Dusseldorf, Germany. It involves drawing a patient’s blood, incubating it at raised temperatures, and spinning it in a centrifuge to separate it into its individual constituents. By doing this, a powerful anti-inflammatory serum is created from the patient’s own blood that can be reinjected back into the patient to reduce inflammation. Dana White, the founder of the Ultimate Fighting Championship (UFC), popularized this treatment after claiming it cured his Meniere’s disease. Unfortunately, it is not actually a cure. It does lower inflammation markers and reduce inflammation in the inner ear, which can reduce vertigo, but it does not address any fundamental underlying cause of Meniere’s disease. In the US, the procedure is known as Regenokine and is offered at clinics in several states. But it is not FDA approved, and therefore not covered by insurance (it can cost as much as $10,000). It is also up to the individual doctors to decide if they are willing to apply it to Meniere’s disease patients. The vestibular nerve section procedure is a surgery of last resort, to be performed only in cases of unilateral (single sided) Meniere’s disease when no other treatments have worked. It involves physically cutting the vestibular nerve. It can be extremely effective in eliminating vertigo, but it destroys vestibular function in the affected ear. As a result, vestibular rehabilitation therapy is necessary and severe vertigo is common following the procedure, though it typically subsides over time. Hearing is also affected slightly post-surgery, though largely unaffected. It also carries the risk of several potentially severe complications. A Labyrinthectomy is another treatment of last resort, that involves destroying the labyrinth, or in other words, completely removing inner functionality. Like the vestibular nerve section procedure, it is only advised for unilateral (single sided) Meniere’s disease patients who haven’t responded to any other treatments and who have already suffered total hearing loss. The labyrinthectomy procedure destroys hearing as well as vestibular function, so if you still have hearing left in your affected ear, it should not be considered as an option. Luckily, it can be very effective at eliminating vertigo in patients who don’t respond to other treatments, and hearing can be restored in the affected ear with a bone anchored hearing aid or cochlear implant. Both physical therapy and vestibular rehabilitation therapy are necessary after the procedure. Vestibular rehabilitation therapy (VRT) is a specialized form of physical therapy and common treatment for many of the primary and secondary symptoms of Meniere’s disease. When vestibular function is damaged by Meniere’s disease, vertigo, dizziness, imbalance, and visual disturbance can become much more of a problem. Vestibular rehabilitation therapy is a series of exercises that trains your brain to utilize your other sense to compensate for the loss of vestibular function. The goal of a VRT program is to teach patient specific exercises that can eventually be practiced at home. It takes time for VRT to work effectively. In fact, in the short term, the exercises can make symptoms worse. But in the long term, VRT can improve vestibular symptoms quite a bit. Meniere’s disease is an idiopathic illness, meaning it has no known underlying cause, and can only be diagnosed by ruling out other possible explanations of the symptoms. Unfortunately, misdiagnosis is very common as there are several other conditions mimic Meniere’s disease. It’s important to rule out other possible diagnoses, as the treatments differ greatly. SCDS can present like treatment resistant Meniere’s disease and should be investigated and ruled out in all cases of Meniere’s disease. Many people with SCDS are misdiagnosed with Meniere’s disease. But if it’s actually SCDS that is causing your symptoms, it can typically be corrected with surgery. Are you sure your Meniere’s Disease Diagnosis is the Right one? When facing vertigo, or a possible Meniere’s disease diagnosis, many patients also experience migraine headaches to a varying degree. Migraines are a common neurological disorder affecting about 14% of the population. Unfortunately, migraines can also be associated with vestibular symptoms such as vertigo, dizziness, and imbalance, as well as hearing symptoms, such as ear fullness and tinnitus. Because of this, patients with Migraine Associated Vertigo (MAV) / Vestibular Migraine are often misdiagnosed as having Meniere’s disease. Though it’s also entirely possible to have both Meniere’s disease and MAV. If you experience migraine headaches along with your Meniere’s disease symptoms, you should be evaluated by a Neurologist for migraine associated vertigo, as the treatment for migraine is quite different than the treatment for Meniere’s disease. There is a strong connection between Meniere’s disease symptoms and TMJ. Yet surprisingly, very few dentists or doctors seem to even be aware that TMJ can cause vestibular symptoms like vertigo, tinnitus, dizziness, and ear pressure. Even neuromuscular dentists, who are TMJ specialists aren’t always familiar with the connection. But if you’ve been diagnosed with Meniere’s disease, ruling out TMJ/D is important because it is a known cause all the symptoms of Meniere’s disease. The good news, however, is that TMJ is entirely treatable with a custom built orthotic appliance, and once treated, the vestibular symptoms disappear. One lesser known cause of Meniere’s disease-like symptoms is a condition called Binocular Vision Disorder (BVD). It affects at least 10% of the population, yet most people are entirely unaware. Patients suffering from Binocular Vision Disorder have a small amount of vision misalignment that is not found on a routine eye exam. Fortunately, once properly diagnosed, BVD is entirely treatable with special glasses that correct the vision misalignment. Click here to download a PDF copy of the Ultimate List! Excellent resource! Now I want to go back to re-read and investigate the many added links. Note: It is not uncommon to have vestibular migraine and not have a headache but still have all the other VM symptoms. This is probably why many go undiagnosed for VM who are are initially diagnosed with endolymohatic hydrops. This combo is hard for ENTs to acknowledge and tricky for patience to understand. The key is to understand that migraine is not headache. The headache is a symptom of migraine, along with nausea, vertigo, muscle aches, etc. but a patient may not have all of these symptoms. All patients with endolymphatic hydrops (Meniere’s disease) should get a neurological consultation for vestibular migraine at a research teaching hospital nurology clinic. This will rule in or rule out VM. Also, with VM, another treatment is avoiding triggers like aged foods, which are high in tyramine. Avoid most cheeses (but farmers, havarti, cream cheese, and pecorino romano are OK though, swiss, chedar, and stinky cheeses are very high in tyramine) and avoid red wine, beer on tap, porter, and aged foods like kimche, aged meats, etc. Leftovers are best avoided too. Eating healthy and avoiding trigger foods may help endolymphatic hydrops as well. Bright light and sounds/noise can also be triggers. Paying attention to your environment, where you sit to work, drive (not into setting sun), adding home shades, etc. can help reduce both VM and endolymphatic hydrops occurances. The position of the head can also be a trigger. Watch you orientation. Question: my disease is so out of control that I am unable to work…or function on most days. The vertigo and vomiting is sometimes unbearable. has anyone know received disability for Miniere’s with a doctor’s diagnosis? How much do you receive, what are the conditions/rules? Thank you. Hi Amanda, you can receive disability for Meniere’s disease with a doctors diagnosis, though I’m not entirely familiar with the process as I’ve not needed it myself. I do know, however, that it’s very important to have all your doctors notes and documents, and to expect it to take a while to go through. It’s tough, but possible! Has anyone had Silverstein Micro wick treatment ? If so, what treatment had been given / offered before Mico wick? Did you experience side effects ? Did you experience benefits ? Did the procedure effect vision ? Did the procedure effect the balance system ? Did you experience vertigo after the treatment? Sunday attended church but left early due to feeling extremely fatigued, dizziness and nauseous. Slept the remaining of the day and continued to sleep off and on until Tuesday morning. Waking for small meals and medication. Tuesday I reached out to doctors office. Advised to continue dexamethasone drops and Diphenidol. Wednesday I started to feel recovered and my appetite had returned. I continued to feel recovered. Thursday, by mid afternoon all the symptoms that had subsided had returned and I was back in bed. I live in San Antonio Texas and the storm had made its way to town. So now I question if I’m struggling with symptoms because of the procedure or the change in weather. Can anyone offer any to do’s if it’s weather related ? Next appointment in on Wednesday with the doctor. No disrespect, but my Chiropractor thought he could eliminate my spells and no do. D.H.M.C. finally did low dose gentamicin to alleviate my vertigo as a last option. May I ask who you see in San Antonio? I have changed doctors this month, but he appears to be closed minded about alternative treatments. Still looking. I had Gentamicin Injection in my right ear after having several bad vertigo spells. I was having vertigo at least once a month which could happen at any time. I had two Gentamicin injections at Tufts medical center out of Boston and since the last episode have not had a vertigo spell in almost 4 years. I still have fluctuating tinnitus and hearing loss in the affected ear, but my quality of life has greatly improved. I don’t worry any more about vertigo spells.